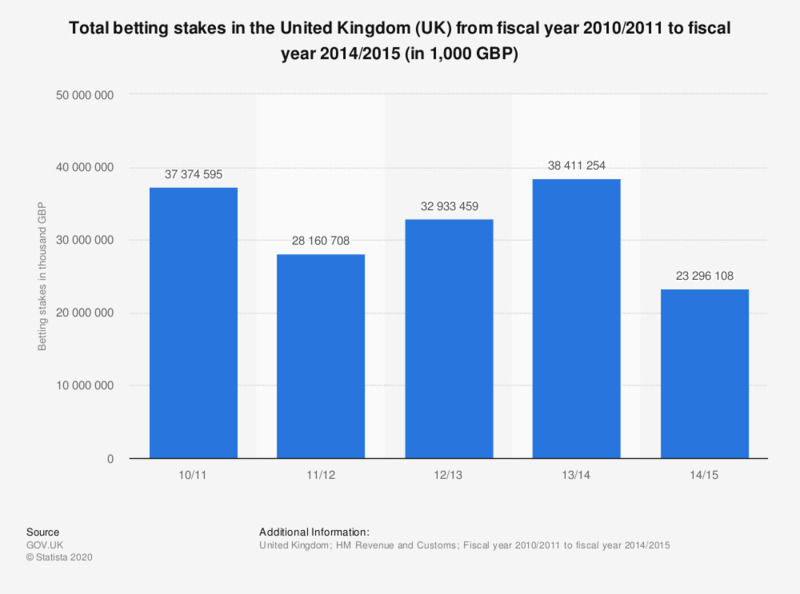 This statistic shows the total United Kingdom (UK) betting stakes from fiscal year 2010/2011 to fiscal year 2014/2015. Total stakes saw a net decrease over the period, despite rising to a peak in 2013/2014. Over the period, total fiscal year stakes decreased by over 14 billion British pounds.